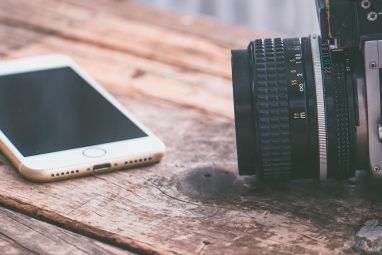 It seems that every time I search the iTunes App Store for iPhone camera-related apps, I discover tools which yet again make the traditional point-and-shoot or compact cameras nearly obsolete. 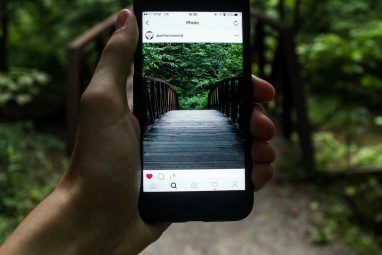 Most iPhone camera users know how the native app can be rather slow when it comes to moving subjects, or it can be cumbersome when it comes to switching between photo and videocam modes. Here are 4 handy quick shooting apps for the iPhone and iPad. You might well be surprised how useful these apps can be. I was a little suspicious when I read the description of Fast Camera – take “UP TO 800 PICTURES A MINUTE”! I don’t need that many pictures taken per minute, but there are occasions when I would like to capture a moving object, but I know the shutter speed of the iPhone camera is simply not fast enough for moving subjects. Well, Fast Camera just might do the trick in many of these situations. Fast Camera literally starts shooting photos after you launch the app. The Stop/Start button and the little Timer counter indicate photos are being taken. If you move the camera during the shooting process, the lens of course will need to refocus, but Fast Camera keeps right on shooting. At first you might think you don’t want your iPhone’s Camera Roll jammed packed with so many pictures. Well don’t worry, the developers of Fast Camera had the good sense not to have photos sent directly to the Camera Roll by default. After you hit the Stop button you can preview shots in Fast Camera and select the ones you want to keep, and then select to send them to the Camera Roll if you like. The rest get deleted. You also get several options for how you want Fast Camera to perform. You can set up a specific timer, make the Rear or Front lens the default camera, as well as slow it down and delay the number of shots between photos taken. Launch Fast Camera at a sporting event, or when you’re trying to capture a child who won’t sit still, and you will certainly have a better chance of getting good candid shots than you would with the regular iPhone camera. At the time of this review, Fast Camera is a free download; it regularly sells for 99 US cents. If Fast Camera is a little too fast and mind blowing for you, a similar app called SuperFast Camera allows you to choose one of four shooting presets – SuperFast Cam mode, regular camera shooting, Anti-Shake Mode and Time Cam. You also get preferences for how you want SuperFast Cam to perform in terms of the number of shots taken before it stops, as well as whether you want picture taking to begin or not after the app is launched. The one drawback to this camera app is that all the shots are saved to the Camera Roll, which means you have to leave the app in order to preview the shots and delete the ones you want. And if you use Photo Stream on your iPhone, you have to also delete unwanted shots from there. On the other hand, you might very well want shots to go immediately to Photo Stream and Camera Roll, say if you’re doing studio shots or want to immediately show photos on your Photo Stream-supported Mac. SuperFast Cam is also free at the time of this review. There’s no indication how much it will be after the free download period has passed. 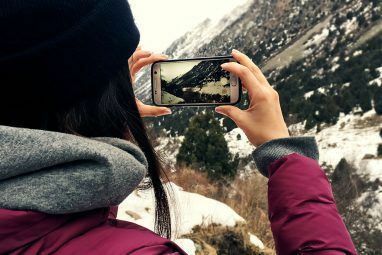 While I was researching this article I was surprised – though I shouldn’t have been – to see similar fast shooting apps for iPhone videocam shooting. That’s right, with an app called Record Button you can instantly start recording video with a single tap of the app’s red button. No more having to launch the native iPhone Camera app, wait for it to open, and switch to the Video Cam mode in order to start shooting. To stop the recording, you tap the Timer and the recording is immediately saved. However, it might be better if you get the option to tap the Timer in order to pause and resume the same recording, and another option for fully stopping the recording. You can also tap the Home button which saves the recording and closes the app. Record Button is free and ad-supported; however, the developers should sell an ad-free version, for the pop-up ads can be a little obtrusive. Record Now works similarly to Record Button, but with this app you simply tap the screen to stop recordings and save them to the Camera Roll. You tap the screen again to start another recording. There’s no other options for Record Now, but it’s handy for when you’re taking a mixture of photo and videocam shots and you don’t want to switch between photo and video mode on the native camera. 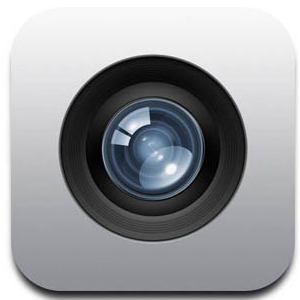 There are other similar quick shoot cameras in the iTunes App Store which in their own way supercharge the photo and video shooting on the iPhone and iPad devices. Let us know what you think of these and similar apps. Mort, thanks for letting us know this. Yep, definitely too late to get either fast cam or super fast camera for free. Shucks. Both look pretty cool. Maybe eventually. You really make it seem really easy with your presentation however I in finding this topic to be actually one thing which I think I might by no means understand. It sort of feels too complex and very vast for me. I'm taking a look ahead to your subsequent post, I'll try to get the dangle of it! Neither of the Fast cam apps are free, both currently 99 cents. Hmm, sorry. That happens sometimes. They post them for free without stating that it's a limited time. If I see it's not free or a limited time, I state that in the article. dka, thanks for your video. Very good run through.